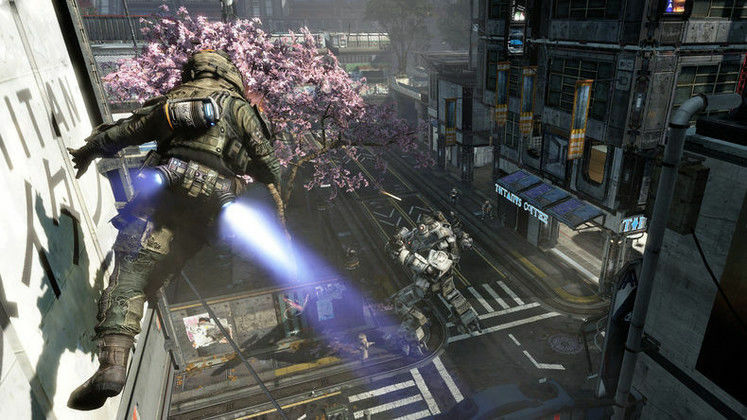 Titanfall Is Respawn's opener more than just Call of Duty with mechs? Heading into the next generation of console hardware, it always felt rather like the first person shooter genre was going to be defined, in these early stages at least, by known quantities. It’s the battle of the famed FPS creators from the last generation; would it be the folks behind Halo, or the folks who turned the genre on its head with Call of Duty 4: Modern Warfare? 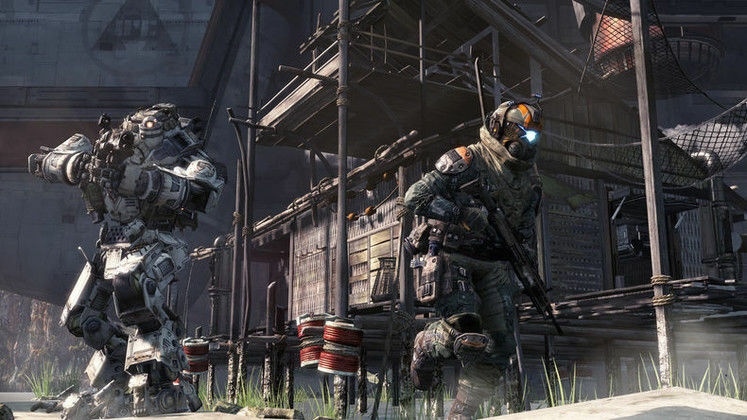 The latter, fresh from their legal tumble with Activision and with a fresh new studio in Respawn Entertainment, offer an interesting vision for the multiplayer future of the genre in Titanfall. 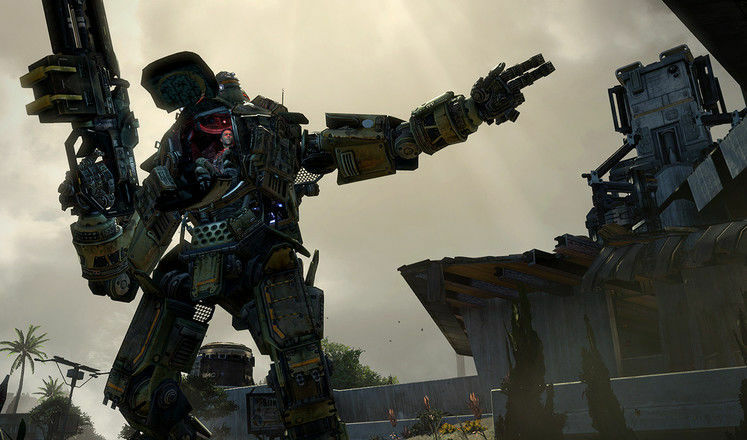 The title takes the speedy, snappy look and feel of recent Call of Duty titles and combines it with massive, hulking mechs - and tries to maintain the balance. The difference between the foot soldiers - known in this game as pilots, and the mechs - Titans - is the key crux of the game. 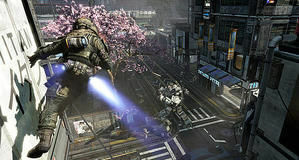 It defines level design as well as character and weapon abilities, all of these elements combining to create, Respawn hopes, a well-balanced, addictive experience. 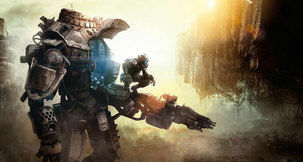 Titanfall sadly wasn’t hands-on, instead played by a well-practiced Respawn employee rather than bumbling, unfamiliar press - but the mechanics of the game still felt incredibly clear even without laying hands onto the Xbox 360 controller used to demo the game myself. In open areas, players lucky enough to grab and pilot a Titan rule the roost. The hulking behemoths can take quite a bit of punishment from the ground troops, and boast enough firepower - including massive guns and shoulder-mounted rocket launchers - to easily blast even a full squad to pieces. They’ve even got a Bioshock-like ability to magnetically gather up incoming bullets and fire them back at an enemy, best used when up against another Titan. These aren’t the equivalent of a vehicle in most FPS titles but have the full sense of speed and manoeuvrability of ground soldiers. They raise their weapons quickly, and can quickly side-step and dash around the battlefield with terrifying speed. For me, it evokes the look and feel of the fast-moving, show-offy Transformers from Michael Bay’s rebooted movie series - and that makes them a deadly threat. As mentioned before, balance is key to the team at Respawn, and so the Pilots have some boosts of their own. No longer shackled by modern technology, the Respawn team has given them abilities to help the pilots out - and the result is that in more enclosed areas Pilots are just as deadly to Titans. Pilots are agile, and can pull off moves such as wall-running and wall-jumping with ease, allowing them to use the terrain to their advantage to get above or around Titans, generally out-moving them even though the Titans seem to move as quickly as the typical FPS protagonist. The addition of a jetpack gives them even greater agility still. While the Titan may be the big selling point of the title, what’s most impressive about the pilot in the extended demo is just how well the traversal abilities of the character work from a first person perspective. There’s something vaguely of Mirror’s Edge about the Pilot’s rapid, agile movements; something pleasingly smooth about each jump and jetpack-aided boost. It’s difficult to say this for certain without going hands-on, of course, but the live footage the team from Respawn treated us to certainly gives me high hopes indeed. While Titans carry a specific load-out of weapons, Pilots can pack a number of different types of weaponry, as you’d expect for shooters. 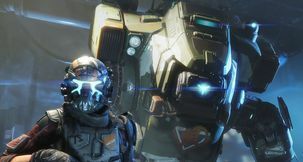 All of it is suitably sci-fi, and there are numerous weapons that have the power to take down a Titan - but even so, Pilots are best-suited to take on mechs in a group. The best analogy is that of a swarm of bees; together, a group of Pilots can prove a nearly impossible hindrance to a pilot until somebody gets in the necessary deadly hits. This essentially presents two potential styles of play - brute force from a Titan versus cunning team play as a Pilot. It’ll be extremely interesting to see how the online player base handles this in the final release. Another of the key cruxes of Titanfall is the concept of injecting a little bit of story into multiplayer matches. The mission we see sees each team given a more intricate and driven objective than ‘capture the flag’, though the mission objectives are largely the same. The mission I see tasks one team with capturing key points on the map while another must defend - it’s that simple, fancy story justification aside. 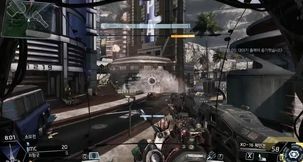 Once the match starts, the player beginning as a Pilot, everything is pretty much business-as-usual for an FPS, albeit with Titanfall’s unique twists on the genre. Each kill unlocks XP in a flurry of on-screen nods designed to set off positive chemical reactions in the brain, and that can then be ploughed to largely unknown character progression later on. As the mission progresses, players must shut down anti-air guns placed around the capture points in order to allow an allied ship to fly through. Over the course of the match, a countdown in the corner of the screen will slowly tick towards 0 - and when it does, the player finally calls in a Titan. The Titan drops from the sky with a massive crash, and instantly the dynamic of the match for both that player and those around them changes. It’s a shift one can feel even watching the match, so it must be rather significant when you’re playing. The map is built in such a way where there are plenty of flat walls for pilots to run along and boost off, while similarly there are enough wide-open areas for plenty of adrenaline-pumping Titan-on-Titan combat - that elusive balance, it seems, looks to be there so far. All too quickly, the match is over - as with the best multiplayer FPS games, it has flown by. Respawn has shown these first few cards of their hand, but for now is revealing no more. It’s a tantalising, hard-to-ignore tease at what the title has to offer - that Call of Duty feel heavily augmented for the next generation. The message is that it’s about more than just larger maps and player counts - but an evolution in gameplay. Thus far, the addition of the Titans, how they interact with Pilots and how that effects the flow of the match certainly feels like an evolution - and I’m looking forward to hearing and seeing more. Most anticipated Feature: Actually getting my hands on the game and seeing just how well the Titans control!